Does DOSS IP camera support RTSP protocol? If your media player supports RTSP (Real-Time-Straming Protocol) then you can access the DOSS IP camera range directly. 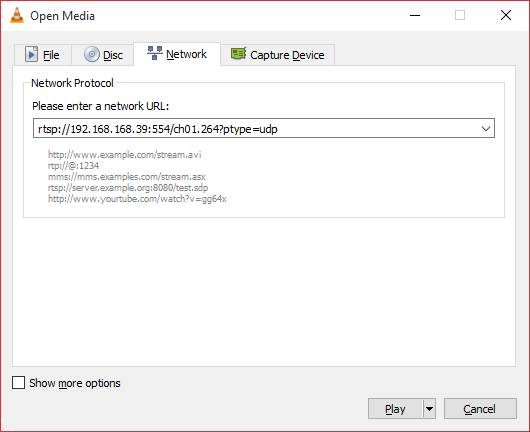 For VLC, the following URL structure will allow you to stream your IP feed.